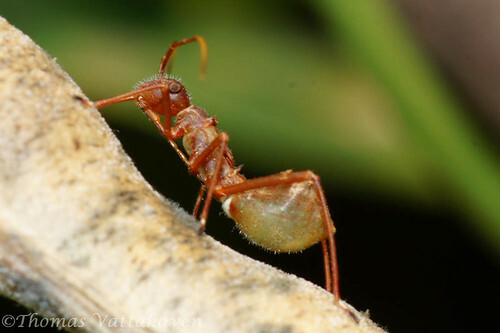 I`ve posted earlier about ant mimics. 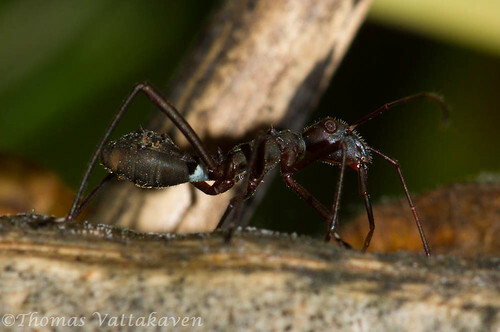 You`ve seen spiders and flies that mimic ants on this blog. 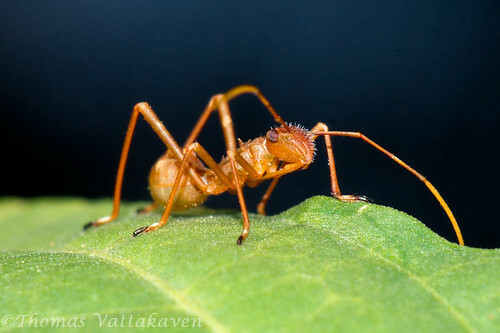 This one here is perhaps the best mimic and it was a while before I figured out that they were not ants. 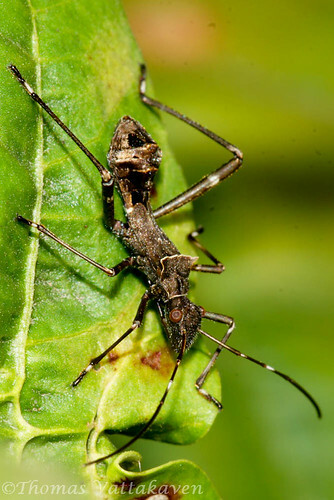 These insects are in fact bugs (Hemiptera) of the family Alydidae. 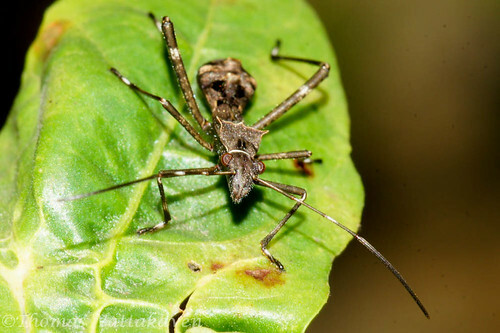 These induviduals are not the adults themselves but a nymph stage of the bug. 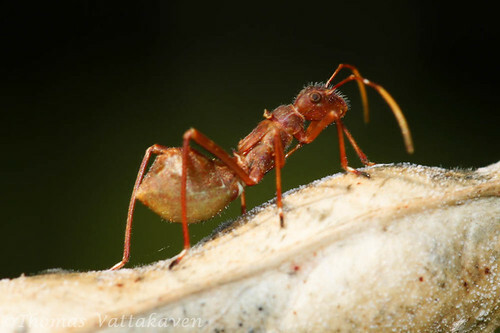 The Alydidae are commonly called as the Broad-headed bugs. 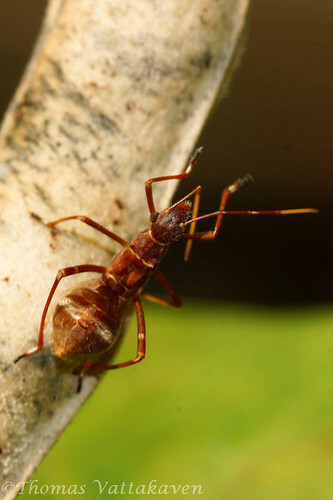 Early instars of these bugs looks highly similar to ants and one needs to look closely to pick out the tell-tale rostrum, or the beak like structure that it holds folded beneath its body. this structure is used to pierce and feed on the plant. 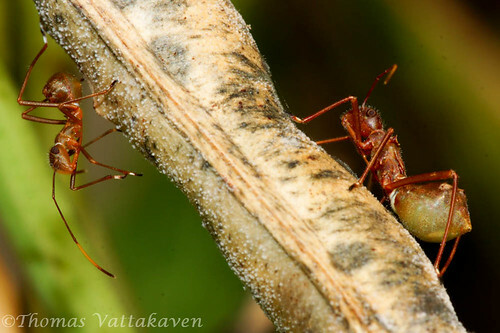 These mimetic nymphs are commonly seen on certain plants like the bean species seen here. 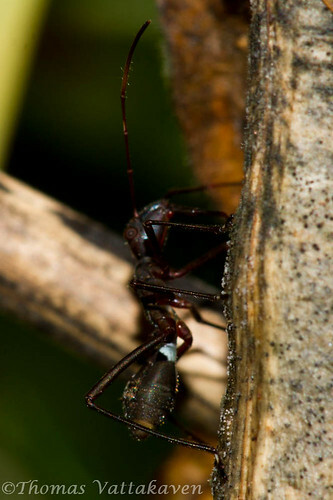 They feed on the reproductive parts of the plants. 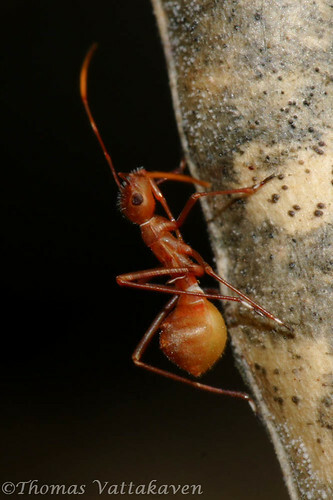 They are often found together with ants. 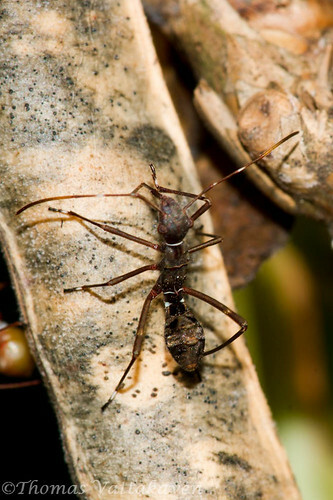 It is thought that the mimicry protects these bugs from predators such as praying mantises that occur on the same host plants. 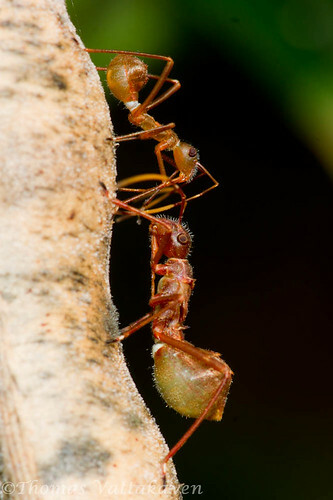 These bugs are known to exude chemicals known as allomones (butyric and hexanoic acids) as a second line of defence. 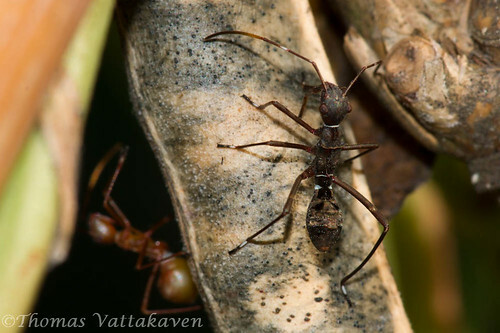 There can be significant colour variation between the morphs and the adult bugs look quite different. WOW! Interesting, keep sharing these lovely learnings in your life... They are educative to may around! Also, the photographs are great! 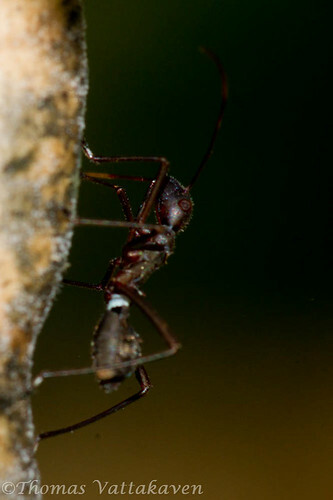 A small suggestion if you could try and get a shot of this insect(bug) again, try that when it has its rostrum pierced into the plant body, sucking the cell sap! Thanks for the comment Ramjee. If you look at some of the pictures you may be able to see that the rostrum is actually pierced into the bean pod.